Today, I’m thinking about food and cultural flavor preferences, how people appreciate or dislike certain flavors depending on where they reside, or where they were raised. We usually have to acquire a taste for flavors that aren’t common in our native cuisines, especially if the flavors are intense or distinct. Some tastes are more difficult to acquire than others. For instance, it’s hard for many non-Australians to develop a taste for Vegemite, and most French are confounded by the whole concept of peanut butter. Brussels sprouts are a good example in my case: I never ate them until they landed on my plate in an Army mess hall in Georgia when I was 18 years old, going through AIT training (31K, in case you’re curious) at Ft. Gordon. Prior to that, I never even saw one. Brussels sprouts just weren’t a part of my family’s culinary range. My reaction? It was love at first bite. I took to their strong flavor and dense texture immediately, and I’ve made them a staple part of my diet ever since. I haven’t been able to get my parents to like them, though, and Callaghan just barely tolerates them. Predictably, being French, Callaghan also dislikes peanut butter. Not surprising! But before meeting him and moving to France, I didn’t realize that there’s another flavor ubiquitous in American foods that the French generally don’t embrace. They do eat it, but not nearly as much as we do… it doesn’t appear as frequently in their foods. It’s pretty rare in French cuisine, actually. I’m talking about la cannelle, cinnamon, a spice that the general American palate knows and loves dearly. In fact, most of us emerge from the womb demanding cinnamon toast, one of America’s great comfort foods. We’re natural-born cinnamon addicts. Apple crisp, Apple Brown Betty, applesauce, apple anything. Pumpkin pie, pumpkin bread, pumpkin spice lattes, pumpkin anything. Banana bread, zucchini bread, carrot cake, bread pudding. Cinnamon toast, snickerdoodles, oatmeal cookies. Cinnamon rolls, sticky cinnamon buns, coffee cake, crumb cake. Red Hots, Hot Tamales, Big Red gum, and those little cinnamon heart-shaped red candies that come out for Valentine’s Day. And, of course, apple pie – the Great American Dessert. Many of these are comfort foods, and the list goes on. I think the general rule is, in America, if it’s sweet and it’s got apples, raisins, oatmeal, carrots or bananas, chances are that cinnamon’s going to be in it… and if the recipe doesn’t call for it, cinnamon will sneak into it somehow, anyway. At Starbucks and other coffee shops, the cinnamon shaker is usually found right next to the sugar, and in the home, a mixture of cinnamon and sugar in a jar has its place in most American pantries (conveniently on hand for late-night cinnamon toast attacks). We love a good spiking of cinnamon wherever we can justify it, yes we do. Callaghan tolerates the flavor of cinnamon much better than he does peanut butter. He enjoys it to an extent… the cinnamon toast I make, for example, and he loves my oatmeal cookies… especially since the health benefits of cinnamon have been sprinkled generously throughout nutritional science reports in recent years. Everywhere I look lately, cinnamon keeps popping up on lists of things we can eat to promote wellness and longevity. It’s become widely known as a wonder spice. All of this background brings me to the point of this post. You know how it is when someone points out something that you’ve never noticed, even though you’ve been familiar with that thing your whole life? And how strange the surprise feels in that moment of realization? I love Trident gum. It’s my favorite brand of sugarless chewing gum, and I’ve been preoccupied with the various new and exotic Trident flavors over the last few years. 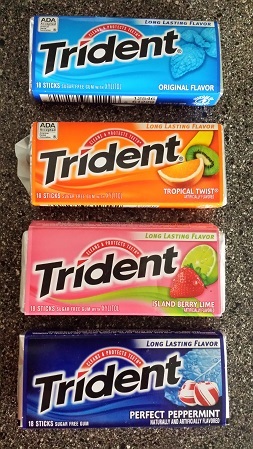 When I lived in France, my Dad thoughtfully sent over a 12-pack of Trident Tropical Twist in a care package. After we moved back to the States, I discovered Island Berry Lime, which became my new favorite fruity flavor. Callaghan likes Island Berry Lime, too, but he’s more of a gum purist and eventually requested that I add a minty flavor to the mix. I started picking up Trident Perfect Peppermint, which we both like. Actually, I don’t think a Trident flavor exists that I don’t like. A typical Trident rotation at our house. When regular old Original Trident materialized before my eyes one day in Target recently – I was actually surprised to find it! As in, Hello, my old friend! surprised – I snatched it up. Good old-fashioned Original Trident. I hadn’t thought about it in years. I popped a piece into my mouth and started chewing, and sure enough, all the best memories of my childhood came rushing back through my taste-buds in a glorious fanfare of flavor. I was in ecstasy. Swooning, I offered a piece to Callaghan. He took it and chewed it for a few seconds before uttering the words that would change my whole Trident worldview. His reaction to the flavor completely took me by surprise. And he spat it out. I spent a second processing this. Then I thought, It does? Original Trident tastes like cinnamon? That’s interesting. And cool. 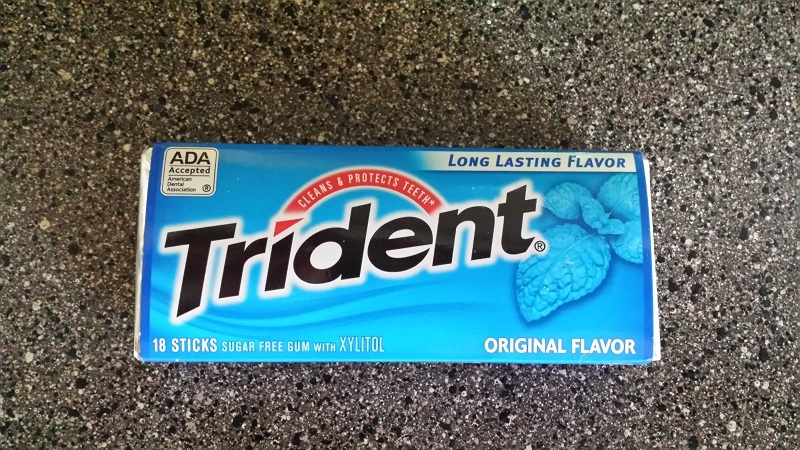 I’d never thought of Original Trident as having a cinnamon flavor. If I had to characterize it to someone, I’d probably say something vague, like, I don’t know. It’s just, you know, that Good Trident Taste. 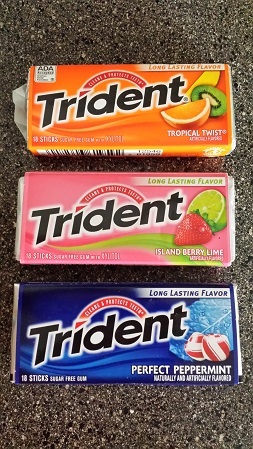 Once Callaghan rejected Original Trident on the grounds that it tastes like cinnamon (his acquired, limited affection for cinnamon stops at the candy/gum line), I made a point of paying close attention to the flavor in my mouth. The exercise of striving for flavor objectivity was weird and somewhat difficult, but I found that he was right… there is an echo of cinnamon flavor in Original Trident gum! Callaghan’s cinnamon-sensitive French taste-buds picked up on it instantly. Somehow, I’d never noticed it. Maybe this is because, being American, I’m accustomed to a heavier cinnamon flavor everywhere else, and the dominant flavor in Original Trident is mint. Now that I can taste the cinnamon in Original Trident, I have to say, I love it even more. I just popped some Brussels sprouts in the oven to roast about 30 seconds before a read this 😉 I grew up with them and love them. John too just tolerates them lol! Wow that is so interesting about peanut butter and cinnamon being uncommon in France! I can’t imagine life without cinnamon!! When I chew gum it’s good old Wrigleys with sugar. 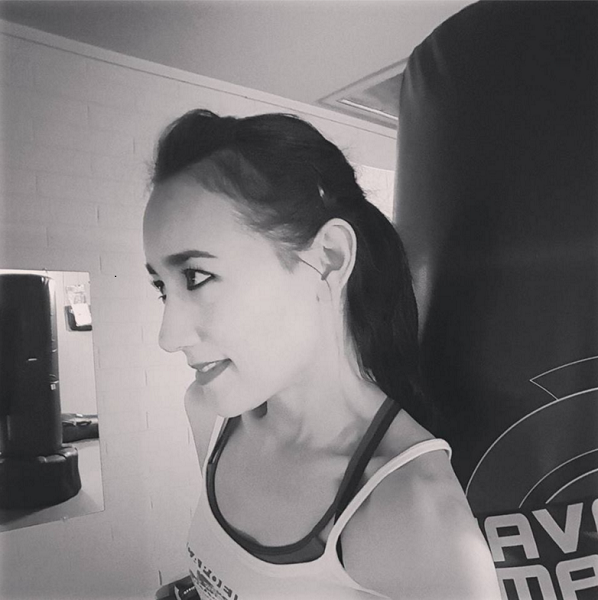 My stomach won’t tolerate the artificial sweetener (sorbitol?) I’m talking doubled over stomach cramp pain!! Hi Colleen, I love roasted Brussels sprouts! With olive oil and garlic and a little salt, always. =) It’s funny that John just tolerates them, too! Yes, the thing about cinnamon in France was unexpected… it’s so common here, you don’t realize that it’s not the same elsewhere. I’d lived in Germany for a few years and they use a lot of cinnamon in their desserts, too, especially in strudels… like here, most dishes involving apples. Ha, we’re both loyal to our gum brands. =) I’m looking at my pack of Island Berry Lime flavor Trident, and the sweetener is xylitol. I’ve never had a reaction to it, thank goodness! The reaction you had sounds horrible. I’m smiling…..we had wonderful, roasted Brussels sprouts tonight with our curry chicken. Cinnamon is a staple in my life, to the extent of sprinkling it on my yogurt very often. It adds sweetening w/o sugar of any sort. Then I add nuts!! It sounds like you have employment. What are you doing? I look forward to hearing all about it and how the transition back to a schedule is going, with more time gobbled up every day. Yes, my employment situation has been interesting and invigorating… I’m looking forward to telling you all about it soon! I hope that all is well with you all. Thinking of you.